Carrying a gun in the backcountry isn’t the issue—responsible use is. I am getting tired of being shot at. The perpetrators may not realize they are shooting at me, but that only makes it worse. 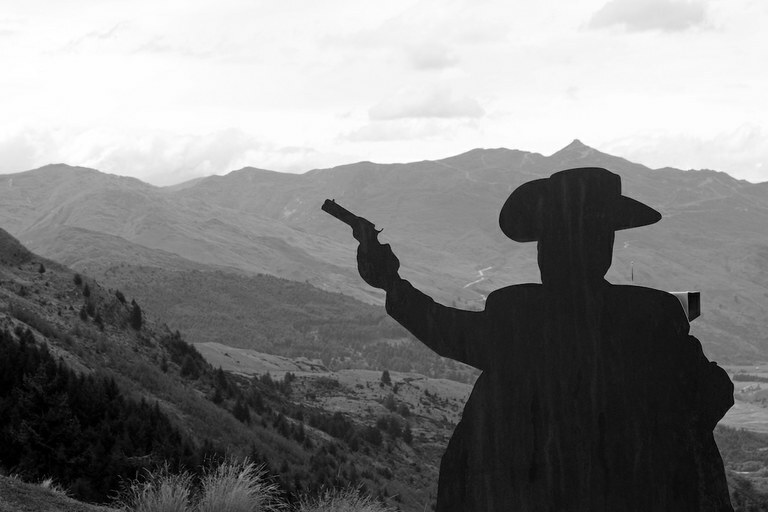 People in the Wild West like to carry their guns with them when they venture into the outdoors. So far, so good. Problems arise when they get bored, pull out said guns and start plinking away at various objects. Shots from a rifle may travel more than a mile. The shooters cannot actually see that far. Hiking in the national forest and hearing the BOOM of a high-powered rifle — one knows not where — is disconcerting, to say the least. In Arizona, it is illegal to shoot at trees, signs or outbuildings. Firearms must not be discharged within 150 yards of residences, buildings, campsites, occupied areas, recreational areas or domestic livestock. Shooting across a road, trail, or watercourse (with or without water in it) is prohibited. Someone who decides to get in a little target practice on the public lands may not know if there is a trail, road or recreation area close by. Some do not appear to care. East of Phoenix, Usery Mountain is within range of a popular impromptu shooting area. There is a sign on the hiking trails to “watch out” for random gunfire. I am not sure exactly what I am watching out for. By the time I hear or see the bullet, I am guessing that it is probably too late. Another day I was relaxing by the trail, when a BOOM went off right in my ear. I took off at a dead run, much to the amusement of the man in camo concealed nearby, who had, in fact, fired the gun. Whether or not he was trying to frighten me or simply didn’t realize I was there, I wasn’t going to hang around. Many are the times I have stood in an open area, listening to gunfire, yelling at the shooters that there were hikers in their backstop. Often they resignedly put up their guns until I was more or less out of range. Usually I am scolded for wandering around where they are trying to shoot. Several people each year are killed or injured by random bullets or from guns fired into the air during events such as New Year’s Eve. In Arizona, a young girl’s death in 2002 resulted in the passing of “Shannon’s Law,” making the discharge of a firearm into the air illegal. Target practice can harm more than people. The lead detritus from the bullets degrades the soil and the water, and plastic shotgun shells will never biodegrade. Shooting at glass (illegal) scatters shards far and wide. It is not uncommon (though also illegal) for people to drag old appliances into the desert to use as target practice. The riddled refrigerator is, of course, left there. Then there are those unspeakables who use Native American rock art as targets. During seasons of high fire danger, national forests are closed to recreational shooting because the spark from a gun may start a fire. Since 2009, as many as 81 fires have been started in Tonto National Forest in Arizona by target shooters. The Doce Fire in Prescott, Arizona, in 2013, started in a shooting area and burned over 7,000 acres. Cacti are tempting targets, however prohibited. Will anyone forget the shooter of saguaro cactus who was crushed in 1982, when his multi-ton target fell on him? His demise was chronicled in the Austin Lounge Lizards song “Saguaro.” In 2015, 2 percent of the Sonoran Desert National Monument outside of Phoenix was closed to target shooting due to damage to the environment, the cactus and the endangered desert tortoise. Carrying a gun in the backcountry is not the issue. The irresponsible use of said gun is. Gun owners do themselves no favors when hikers, bikers, equestrians, or ATV riders unwittingly become moving targets. Responsible gun users call the perpetrators of these abuses the “loony-toon” shooters. However, when a ban is put into place, they are all affected. Spoiler alert: This is not the Wild West anymore. Rustlers may no longer lurk behind each boulder, but a group of birdwatchers may. And we are rather unhappy about being shot at. Marjorie “Slim” Woodruff is a contributor to Writers on the Range, the opinion service of High Country News. She is an educator in Grand Canyon National Park.